Sparkling computer graphics animate wonderful characters with a grace and ease even better than the first. 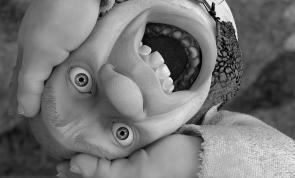 The facial expressions are fantastic, charming, eerily familiar, and the superb voice talent rounds them out to real. For this and the beautiful composition and detail of the virtual sets, "Shrek 2" is worth seeing. But the film has so much more to offer, mostly a good time. Like the first, "2" delights in poking fun at the fairy tales of yesteryear. It picks up with a happily ever after interrupted. Mike Myers and Eddie Murphy's excellent banter is rounded with an additional "annoying animal" to make the band a trio. Antonio Banderas (as Puss in Boots) marks some territory of his own (so to speak). He's a welcome addition. The film is amusing from start to finish, but one pseudo-video-taped segment of "KNIGHTS" (a spoof on "COPS") rocks the theater. It's hands down (or handcuffed) hilarious. 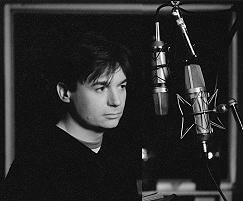 Mike Myers says, "I've had a great experience being the voice of Shrek. It's funny and well-written, which is great for me as an actor. But it's also very gratifying to me personally. Families come up to me and tell me how grateful they are that Shrek exists in the world because of the message of self-acceptance. The message of 'Shrek2' is that you can make your own happily every after." Shrek 2. Copyright © 2004. PG. Starring the voices of Mike Myers, Eddie Murphy, Cameron Diaz, Julie Andrews, Antonio Banderas, John Cleese, Rupert Everet, Jennifer Saunders. Directed by Andrew Adamson, Kelly Asbury, Conrad Vernon. Screenplay by Andrew Adamson and Joe Stillman and J. David Stern and David N. Weiss. Produced by Aron Warner, David Lipman, John H. Williams at Dreamworks/PDI.